A project of the new training aircraft L-39NG, the successor to the legendary Albatros, has reached another important milestone. The pre-series production line construction advanced to the stage that allows the launch of the aircraft's airframe assembly. 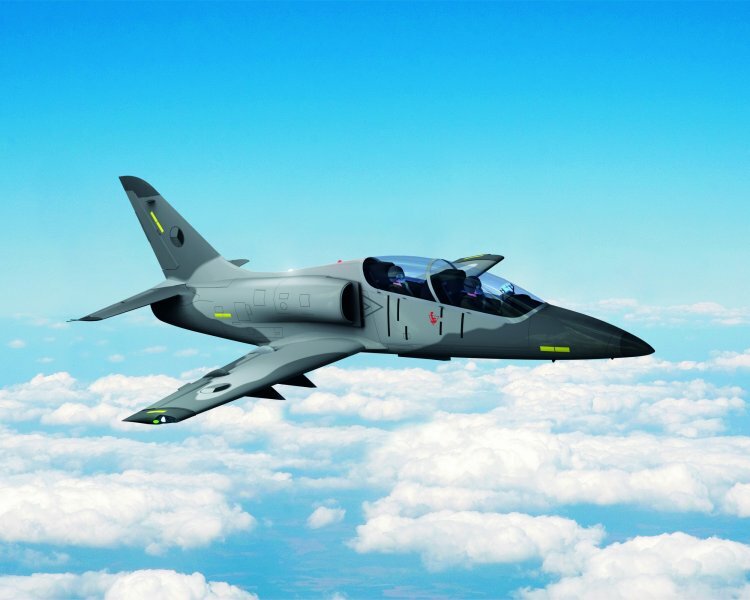 Aero Vodochody have launched production of a total of four L-39NGs and first assembly for the fuselage and the wing are being built. The first and the fourth aircraft will be used for flight tests, the second one for static tests and the third for fatigue tests. The aircraft will not be prototype but built according to serial production standard further confirming the good progress of the program. The first flight of the new pre-series L-39NG is planned to happen before the end of this year. “Aero Vodochody is working intensively on its return among leading training aircraft manufacturers. That is the reason why we are now concentrating our capacities mainly on the L-39NG project and its industrialization. Success of the new training aircraft would bring a great benefit not only to Aero Vodochody but also to the entire Czech aviation industry,” said Giorgio Giordo, president of Aero Vodochody. During the last year, Aero completed selection of the key external suppliers for the aircraft production leading to a good combination of international and national partners. “Within the supply chain, about 40 Czech companies has been involved in the L-39NG development and production. After rump up of serial production, the L-39NG program will ensure thousands job positions in Aero and in our suppliers,” added Giuseppe Giordo. This breakthrough project of the Czech aviation industry enjoys support of the Czech Export Bank that provided a loan for the development of the L-39NG. "Advanced engineering technologies from Vodochody belong the world’s top and the Czech Export Bank is here to support precisely the export of high added-value technologies. At the same time, we are pleased that this way we will support also the entire domestic aviation industry as well as the diversification of the Czech economy exports, because there is a worldwide interest in aircraft from Aero," said CEO and the Chairman of CEB Karel Bureš. Another partner of the L-39NG project is Omnipol that financially contributes to the aircraft’s development and sales. A favorable opportunity opens up for the training aircraft segment in the world market. A large part of all training fleet must undergo major modernization in the upcoming years as the existing aircraft are about to retire or they do not meet today's flight training requirements. "A view to the 10 to 15 year horizon shows that there will be a need to replace up to 3,000 training aircraft. Our target is to deliver more than 100 L-39NGs in the next 10 years. It is a great chance for the Czech export that has, thanks to the good reputation of Aero Vodochody aircraft and the L-39NG, an opportunity to play a significant role in the world's aviation market once again," added the president of Aero Vodochody Giuseppe Giordo. The L-39NG is a modern and efficient training type aircraft designed as a unified and complex tool for a truly comprehensive training of modern air forces. The aircraft is based on the aerodynamic concept of the original L-39s, but utilizes contemporary technology and equipment. It is powered by a highly modern FJ44-4M engine delivered with the TAP Blue maintenance system, providing its users with unprecedented readiness and predictability of the maintenance cost. The aircraft avionics are prepared for training of future pilots of the fourth and fifth generation aircraft and they can be adapted to a large extend to a customer requirements. The L-39NG is equipped with five hard points for carrying weaponry. A part of the aircraft is also a wide spectrum of simulation technologies, including integration to a highly modern tactical simulation center to increase training efficiency. A strategic partner of the L-39NG project is Omnipol that by 50% financially contributes to the development of the aircraft. More details about the new aircraft can be found on www.l-39ng.aero. About AERO Vodochody AEROSPACE a.s.
AERO Vodochody AEROSPACE a.s. focuses on development and production of civilian and military aircraft. It is the largest aircraft manufacturer in the Czech Republic and one of the oldest aircraft manufacturers in the world. In the area of proprietary aircraft, Aero is a long-term partner of a number of Army Air Forces and it has a strong position in the market of military training and light combat aircraft. With hundreds of still-in-use L-39s, and in particular thanks to its new L-39NG aircraft, Aero profiles itself as a leader in the world's jet trainer market. In the field of civil aviation, Aero is a partner to the largest aerospace manufacturers in a wide range of projects. In recent years, it has taken responsibility not only for the production but also for the development of structural parts of aircraft thanks to several risk-sharing programs. Beijing will evolve the Chengdu J-20 fighter into roles well beyond aerial supremacy. Se incrementarán los vuelos a Francia, Grecia, Italia, Croacia, Austria, República Checa, Hungría y Marruecos. Además, durante toda la temporada de verano se aumentarán los vuelos a París hasta las 54 frecuencias semanales. Agosto es el mes de vacaciones por antonomasia en España y, para facilitar los viajes a los destinos estrella, Iberia ha cambiado su estrategia habitual y ha programado 250 vuelos adicionales este año a destinos como Florencia, Venecia, Dubrovnik, Atenas, Praga o Budapest, entre otros. Italia es uno de los países con mayores incrementos en el mes de agosto. Se aumentarán los vuelos a los cuatro destinos habituales de Iberia: Roma, Milán, Venecia y Florencia, y los vuelos a Catania, que se reanudan a partir del 18 de junio, llegarán hasta los 10 semanales en agosto. Croacia será un año más uno de los destinos de moda del verano. Iberia volverá a volar a Dubrovnik, Zagreb y Split, y con el doble de vuelos que el año pasado. Sin embargo, no habrá que esperar al verano para poder volar directo a Croacia, pues este año se inician los vuelos a Dubrovnik el 8 de abril; el 4 de mayo será el turno de Zagreb y el 1 de junio comenzarán los vuelos a Split. Viena, Praga y Budapest son otros tres destinos que este agosto contarán con más vuelos, 14 más que en 2017. Atenas también incrementará sus vuelos hasta un 50 por ciento este mes de agosto, llegando hasta las 21 frecuencias a la semana. El crecimiento no se queda únicamente en Europa. También se incrementarán los vuelos con Marruecos, en concreto con Marrakech, adonde Iberia volará 9 veces a la semana. 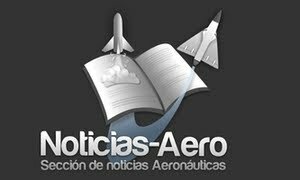 No habrá que esperar a agosto para disfrutar de algunas novedades más; a partir del 25 de marzo, con el inicio de la nueva temporada de verano, se aumentarán los vuelos con París hasta las 54 frecuencias semanales. Iberia Express ofrecerá 14 vuelos a Charles de Gaulle e Iberia 40 al aeropuerto de Orly. Más opciones para viajar a la Ciudad de la Luz y a Disneyland Paris. Y a partir de junio se adelanta el horario del primer vuelo de la mañana a Zúrich con objeto de ofrecer a los clientes de negocios de una alternativa de salida más temprana, uniéndose así a la tendencia de otros destinos como París, Lisboa y Londres. 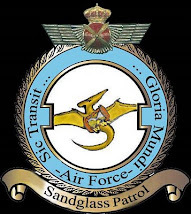 Bruised KC-390 prototype returns to sky | Lockheed and MBDA Germany form joint venture for MEADS | Will a ban on palm oil foil Malaysian fighter deal? WICHITA, Kan. (March 12, 2018) – Textron Aviation Inc., a Textron, Inc. (NYSE: TXT) company, today announced the Cessna Citation Longitude has successfully circumnavigated the globe, demonstrating its commanding performance and impressive reliability to customers along the way. Throughout its world tour, the Longitude traveled more than 31,000 nautical miles, flew 27 legs and visited 12 countries. With a range of 3,500 nautical miles (6,482 kilometers) and full fuel payload of 1,600 pounds (726 kilograms), the Citation Longitude is designed to elevate passenger expectations in the super-midsize class by delivering the quietest cabin, a low cabin altitude (5,950 feet/1,814 meters), more standard features and a comfortable, bespoke interior. With seating for up to 12 passengers, including an optional crew jump seat, the Longitude features a stand-up, 6-foot tall flat-floor cabin. A standard double-club configuration delivers the most legroom in the super-midsize class. Fully berthable seats are designed and manufactured in-house and a class-leading walk-in baggage compartment is accessible throughout the entire flight. State-of-the-art cabin technology enables passengers to manage their environment and entertainment from any mobile device, while high-speed internet maximizes in-flight productivity. The clean-sheet design of the Longitude integrates the latest technology throughout the aircraft, bringing customers the lowest ownership cost in its class. 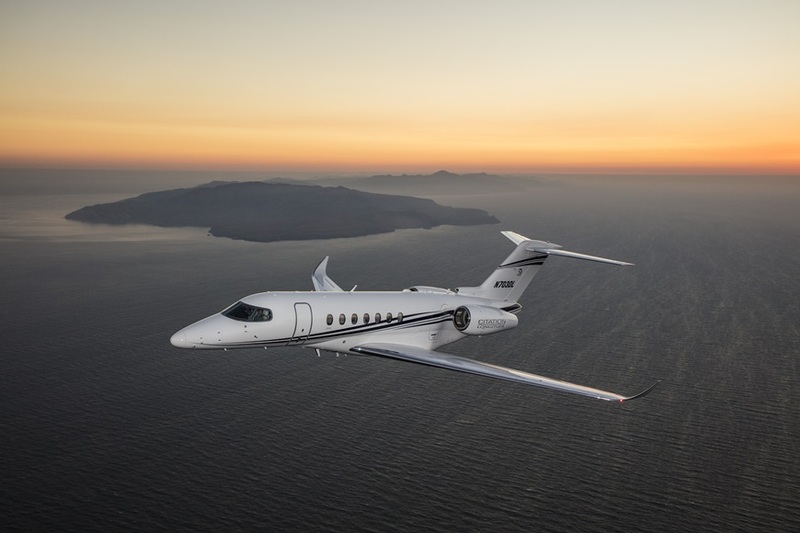 It features the next evolution of the Garmin G5000 flight deck and is powered by FADEC-equipped Honeywell HTF7700L turbofan engines with fully integrated autothrottles with envelope protection. With Garmin’s new Head-up Display (GHD 2100) and enhanced vision capability, the Longitude facilitates eyes-up flying. The spacious cockpit incorporates easier access and an ergonomic design that fully focuses on crew comfort and efficiency. SEATTLE, March 12, 2018 /PRNewswire/ -- Boeing [NYSE:BA] and Turkish Airlines announced they have finalized a firm order for 25 787-9 Dreamliners with options for five more airplanes. The firm order will allow Turkey's flag carrier to further meet the growing demand at its home airport, Istanbul's third airport, and improve the flying experience for passengers. SEATTLE, March 6, 2018 /PRNewswire/ -- Boeing [NYSE:BA] and Hawaiian Airlines announced today that the carrier has selected the market-leading 787 Dreamliner as its flagship airplane for medium to long-haul flights. As part of the selection, Hawaiian intends to purchase 10 787-9 jets valued at $2.82 billion at list prices. Hawaiian also has purchase rights for 10 additional 787s. The Honolulu-based airline, which has steadily grown its award-winning service connecting the Hawaiian Islands with Asia and North America, had been conducting an extensive evaluation of its airplane requirements. In selecting the 787, Hawaiian will be able to take advantage of the Dreamliner family's superior fuel efficiency, range and passenger-pleasing features to enhance its operations and open new routes profitably. Boeing's competitive advantage was also enhanced by Boeing Global Services. Hawaiian will use a number of new aircraft transition support services from BGS, including Training and Initial Provisioning to ensure a successful and on-time entry into service. The 787-9 can carry about 290 passengers on flights of about 7,635 nautical miles (14,140 km), while using 20 percent less fuel and emitting 20 percent fewer emissions than the airplanes it replaces. "The Dreamliner's operational efficiency and superior guest experience make it the best aircraft for modernizing our fleet in 2021 and beyond," said Peter Ingram, president and chief executive officer of Hawaiian Airlines. "Its expanded seat capacity and extended range will allows us to expand within our current route network and offer new destinations in the Asia-Pacific region." Boeing and Hawaiian Airlines will work toward finalizing this new airplane order and it will be reflected in the monthly update of Boeing's Orders & Deliveries website. "Hawaiian Airlines has been on an impressive growth trajectory as they strategically expanded service to and from Asia and North America. We are thrilled they have chosen the 787 Dreamliner to power the next stage of their expansion," said Boeing Commercial Airplanes President and CEO, Kevin McAllister. "The Dreamliner's advanced technology, unmatched fuel efficiency, and passenger-pleasing cabin will optimize Hawaiian's fleet for the future and provide their customers with a best in-class experience." The 787 is the fastest selling twin-aisle airplane in Boeing history. Since entering service in 2011, the 787 family is flying more than 1,500 routes and has made possible more than 170 new nonstop routes around the world. Toulouse / Bremen, 09/03/2018 – Ten years as prime contractor for ESA – it’s just the beginning for Airbus in human spaceflight: The successful mission of the first Airbus-built ATV (Automated Transfer Vehicle) “Jules Verne”, launched on 9 March 2008, has become a key element of pioneering technologies for human spaceflight that includes Spacelab, the ATVs and the Columbus module of the International Space Station (ISS). Together they pave the way to the Orion European Service Module (ESM), Europe´s latest contribution to human spaceflight developed by Airbus, again as prime contractor. NASA's Orion spaceship is designed to take humans to the Moon and beyond, with the possibility of even reaching an asteroid and maybe Mars in the 2030s. The ESM integral to the crew module is designed to supply power, propulsion, thermal control, water and air for future human deep-space missions. Ten days after launch, the first ATV, the sophisticated space freighter executed a perfect manoeuvre to dock automatically with the ISS. The ATV then not only delivered vital supplies to the ISS but also successfully carried out its orbit-raising mission and became an integral part of the ISS. After six months docked to the ISS, the first ATV “Jules Verne” detached on 5 September 2008 and began its last journey in Space, which ended with a controlled burn up on re-entry into the Earth’s atmosphere on 29 September 2008. Four more ATVs (2011-2014) were sent to the ISS. Airbus was prime contractor to the European Space Agency (ESA) to develop and build all the ATVs and prepare their missions to the ISS. In total the ATVs shipped more than 31.5 tonnes of supplies to the ISS until 2015. They boosted the Space Station to raise its orbit numerous times and helped manoeuvre it out of the way of space debris. The ATVs demonstrated the ability to dock automatically with the ISS, which is vital technology for future space exploration missions. Airbus achieved this as part of a European partnership and thanks to the ATVs’ outstanding performance, the company became a full partner of NASA for major space programmes. “Spacelab, Columbus and the ATVs have fully proved our capabilities to develop a highly reliable system that will play an integral part in the success of NASA’s future exploration missions: namely the European Service Module of the Orion Multi-Purpose Crew Vehicle,” said Nicolas Chamussy, Head of Space Systems at Airbus. The ESM is cylindrical in shape and about four meters in diameter and height. It has four-wing solar arrays (19 meters across when unfurled) like the ATVs. The solar arrays are based on Airbus’ flight proven technology which are also installed on their highly reliable geostationary telecommunication satellites which operate for a minimum of 15 years in Space. The ESM’s 8.6 tonnes of propellant will power one main engine and 32 smaller thrusters used to perform orbiting manoeuvres and attitude control. Once again, ESA will rely on the experience gained with the ATVs, which successfully used their thrusters to allow the ISS to evade space debris. “The requirements for a mission to the Moon are of course very different to those for travel to the ISS in low Earth orbit. But the clever design of the ATV has allowed us to evolve the concept for new missions, for example by integrating one large main engine providing enough power to fly to the Moon and back,” said Nicolas Chamussy. In 2019 / 2020, the Orion capsule will perform an uncrewed mission known as Exploration Mission-1, with the aim of travelling 64,000 kilometers beyond the Moon to demonstrate the spacecraft's performance. The first human spaceflight mission, Exploration Mission-2, is expected to launch four astronauts on board Orion in 2023. 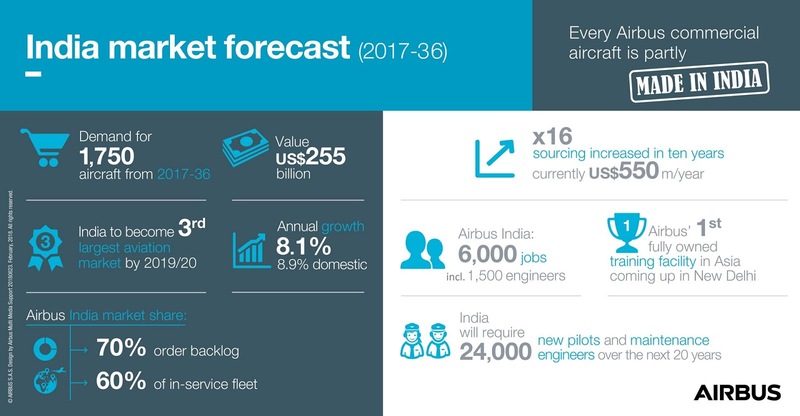 India will require 1,750 new passenger and cargo aircraft over the next 20 years to meet an exponential rise in both passenger and freight traffic, according to Airbus’ latest India Market Forecast. To help meet this growth, India will need 1,320 new single-aisle aircraft and 430 widebody aircraft valued at US$255 billion. While much of the air traffic growth is expected to be driven by the fast expanding economy, rising wealth and urbanisation, ambitious government-backed regional connectivity programmes are also set to enhance demand for air travel. By 2036, Indians will each make four times as many flights as today. As a result, traffic serving the Indian market is forecast to grow 8.1 percent per year over the next 20 years, almost twice as fast as the world average of 4.4 percent. Domestic Indian traffic is expected to grow five-and-half times over the next 20 years (2017-2036) reaching the same level as U.S. domestic traffic today, making it one of the world’s fastest growing markets, according to Airbus’ latest India Market Forecast for the period. "Make in India is at the heart of our strategy. Airbus has the largest footprint in India of any international aircraft manufacturer, nationwide across all aircraft programmes. Our sourcing volume has grown 16 times over the past 10 years and it is currently at more than US$550 million annually,” said Srinivasan Dwarakanath, President – Airbus Commercial Aircraft in India. India is set to become the world’s third-largest aviation market by 2019/2020 and Airbus is well positioned to partner its growth with backlog orders of over 530 aircraft to date. The complete Airbus product line comprises the best-selling A320 Family in the single aisle market, the popular A330 and A330neo, the A350 XWB in the mid-size widebody category and the flagship A380 in the very large aircraft segment. In the freight market, Airbus currently offers the new-build A330-200F and the Passenger-to-Freighter (A330P2F) programme. On 8 March 2018, Voom launched its on-demand helicopter booking platform in Mexico City. 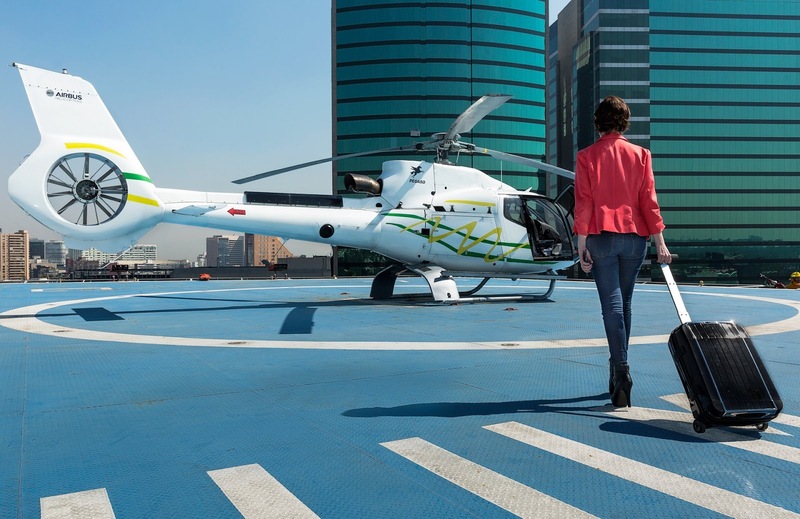 The Mexican capital is now the world’s second city after São Paulo, Brazil, to offer helicopter commuting services. Voom is a wholly-owned subsidiary of Airbus Helicopters that was launched in 2016 as an on-demand helicopter booking platform allowing passengers to request a seat on a helicopter within minutes. By providing a more efficient transportation option to daily commuters, it aims to address challenges associated with rush-hour traffic by offering an alternative form of transportation in some of the world’s most congested cities. Voom provides travelers both convenience and reliability in the most affordable and accessible way available today. Riders can book and take off in as little as 60 minutes or plan their trip up to seven days in advance, and only need to arrive at the helipad 15 minutes before boarding time. Offering several boardings per hour, the service’s convenience pairs with a significant savings in commute times. With a population of 23.9 million people and well-known traffic congestion, Mexico City was a natural choice for Voom’s second launch. Furthermore, Mexico City has substantial helicopter infrastructure already in place, with more than 200 helipads in its metro area. Mexico also has a dedicated air traffic control for helicopters, allowing for more efficient air transportation. For its Mexico City customers, Voom will be available at several locations, including Montes Urales and Interlomas, plus Mexico City International Airport and Toluca International Airport. 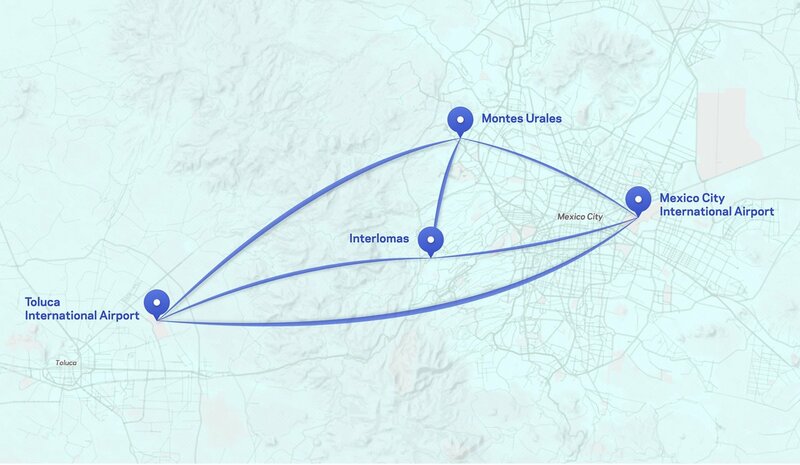 The company anticipates its Montes Urales – Mexico City International Airport route to become one of its most popular due to its promise of a ten-minute ride to the airport in lieu of the typical two-hour trip during rush hour. For more information, visit www.voom.flights or follow the company on Twitter, Facebook and Instagram. 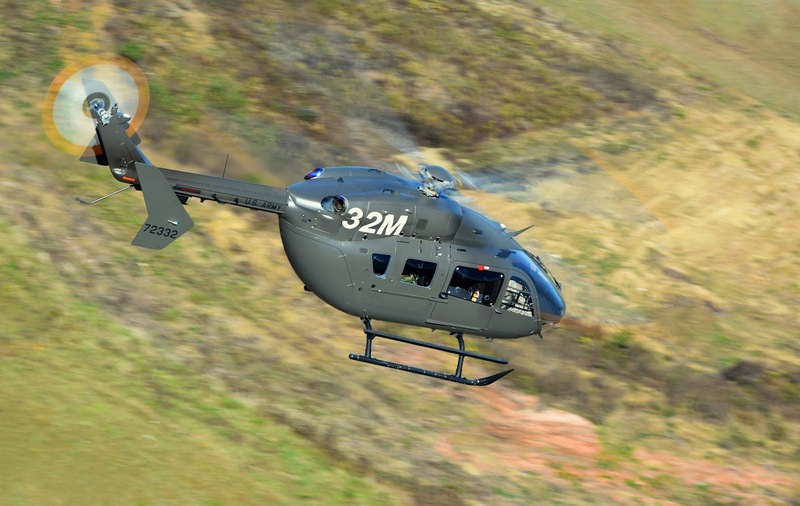 GRAND PRAIRIE, Texas, Airbus Helicopters, Inc. received a contract valued at approximately $273 million to deliver 35 additional UH-72A Lakotas for the United States Army. The $273 million contract includes the UH-72A production aircraft, associated technical and flight operator manuals and program management. This procurement is broken into two configurations: 17 UH-72A Lakotas for the Initial Entry Rotary Wing mission at Ft. Rucker and 18 UH-72A Lakotas for the Observer/Controller mission at the Army’s Combat Training Centers. “We are proud that the U.S. Army has continued to rely on us to provide this versatile capability for its aviation fleet. We have an unbroken record of on-cost and high-quality program excellence and support for this aircraft,” said Chris Emerson, President and CEO of Airbus Helicopters, Inc. and Head of North American Region. Airbus builds the Lakota at its Columbus, Mississippi facility. Since the program inception in 2005, Airbus has delivered more than 412 Lakotas. The UH-72A is a twin-engine light utility helicopter used for a wide range of military operations including border patrol, MEDEVAC, troop and VIP transport, light cargo, Homeland Security. Available in multiple configurations with the lowest cost to buy, own and operate of any U.S. military helicopter in production, the UH-72A is a key component of the Army’s Aviation Restructuring Initiative (ARI) and the primary rotary-wing trainer for the U.S. Army Aviation Center of Excellence at Fort Rucker, Ala.
Lakotas have been employed extensively over the last few months, responding to wildfires in California, and Hurricanes Irma and Harvey. A number of states across the country are partnering with local authorities using the Lakota to assist in the execution of domestic missions, highlighting the unique versatility of this aircraft and its ability to perform in joint governmental and non-governmental agency operations. Les métiers de l’aéronautique accessibles à tous et à toutes. les inscriptions aux tests d’admission pour la rentrée 2018 sont ouvertes jusqu’au 8 avril, inscrivez-vous en ligne. Le Lycée Airbus propose quatre formations en Bac Professionnel : Bac Pro Technicien–ne d’Usinage ; Bac Pro Technicien-ne Chaudronnerie Industrielle; Bac Pro Aéronautique option Avionique ou option Structure. Ouvert à la diversité, le Lycée Airbus accueille des élèves de tous les horizons, filles, garçons; et propose des modalités spécifiques pour des jeunes en situation de Handicap. Les épreuves écrites du test d’admission pour la rentrée prochaine auront lieu le 16 mai 2018. Les candidats admissibles passeront ensuite un entretien de motivation avant le 15 juin 2018 au Lycée Airbus : Usine Airbus Saint-Eloi, 57 chemin du Sang de Serp –Toulouse (Métro ligne B, station Canal du Midi) – Tel : 05 61 93 55 11. MIT study shows electrically charging planes would reduce their risk of being struck by lightning. We propose a charge control strategy to reduce the risk of an aircraft-triggered lightning strike that exploits the asymmetry between the positive and negative ends of the bidirectional leader development, which is the first phase of an aircraft-initiated lightning event. Because positive leaders are initiated and can propagate in lower fields than negative leaders, in general, a positive leader would occur first. During propagation of the positive leader, initiation of the negative leader is favored through the removal of positive charge from the aircraft. Based on this well-accepted bidirectional leader theory, we propose hindering the initiation of the positive leader by charging the aircraft to a negative level, selected to ensure that a negative leader will not form. Although not observed so far, a negative leader could be initiated first if the field enhancement at the negative end were much greater than at the positive end. In this situation, the biasing of the aircraft should be to positive levels. More generally, we propose that the optimum level of aircraft charging is that which makes both leaders equally unlikely. We present a theoretical study of the effectiveness of the strategy for an ellipsoidal fuselage as well as the geometry of a Falcon aircraft. The practical implementation, including the necessary sensors and actuators, is also discussed. Aviation experts estimate that every commercial airplane in the world is struck by lightning at least once per year. Around 90 percent of these strikes are likely triggered by the aircraft itself: In thunderstorm environments, a plane’s electrically conductive exterior can act as a lightning rod, sparking a strike that could potentially damage the plane’s outer structures and compromise its onboard electronics. To avoid lightning strikes, flights are typically rerouted around stormy regions of the sky. Now, MIT engineers are proposing a new way to reduce a plane’s lightning risk, with an onboard system that would protect a plane by electrically charging it. The proposal may seem counterintuitive, but the team found that if a plane were charged to just the right level, its likelihood of being struck by lighting would be significantly reduced. The idea stems from the fact that, when a plane flies through an ambient electric field, its external electrical state, normally in balance, shifts. As an external electric field polarizes the aircraft, one end of the plane becomes more positively charged, while the other end swings towards a more negative charge. As the plane becomes increasingly polarized, it can set off a highly conductive flow of plasma, called a positive leader — the preceding stage to a lightning strike. The paper’s other co-author is Ngoc Cuong Nguyen, a research scientist in the aeronautics and astronautics department. To be clear, lightning itself poses very little danger to passengers inside an aircraft, as a plane’s cabin is well-insulated against any external electrical activity. In most cases, passengers may only see a bright flash or hear a loud bang. Nevertheless, an aircraft that has been hit by lightning often requires follow-up inspections and safety checks that may delay its next flight. If there is physical damage to the plane, it may be taken out of service — something the airlines would rather avoid. What’s more, newer aircraft made partly from nonmetallic composite structures such as carbon fiber may be more vulnerable to lightning-related damage, compared with their older, all-metal counterparts. That’s because charge may accumulate on poorly conducting panels and create potential diffences from panel to panel, which may cause certain regions of a panel to spark. A standard protective measure is to cover the outside of the aircraft with a light metallic mesh. Guerra-Garcia and her colleagues looked at whether electrically charging an airplane would bring down its risk of lightning strikes — an idea that was initially suggested to them by collaborators at Boeing, the research sponsor. “They are very eager to reduce the incidence of these things, partly because there are large cost expenses related to lightning protection,” Martinez-Sanchez says. To see whether the charging idea held up, the MIT team first developed a simple model of an aircraft-triggered lightning strike. As a plane flies through a thunderstorm or other electrically charged environment, the outside of the plane begins to be polarized, forming “leaders,” or channels of highly conductive plasma, flowing from opposite ends of the plane and eventually out toward oppositely charged regions of the atmosphere. “Imagine two channels of plasma propagating very quickly, and when they reach the cloud and the ground, they form a circuit, and current flows through,” Guerra-Garcia says. The researchers developed a mathematical model to describe the electric field conditions under which leaders would develop, and how they would evolve to trigger a lightning strike. They applied this model to a representative aircraft geometry and looked to see whether changing the aircraft’s potential (charging it negatively) would prevent the leaders from forming and triggering a lightning strike. Graduate student Theodore Mouratidis is performing preliminary experiments in MIT’s Wright Brothers Wind Tunnel, testing the feasibility of charging on a simple, metallic sphere. The researchers also hope to carry out experiments in more realistic environments, for instance by flying drones through a thunderstorm.